Discernment counseling is when couples seek counsel about whether or not to end their marriage. Usually this happens when a couple is on the verge of deciding to divorce. In many cases, the spouses have mixed feelings: one partner wants to save the marriage and one wants to end it. Discernment counseling can help the couple decide what to do. When you want to save your marriage but your spouse doesn’t, or vice versa, discernment counseling can help you figure out how to move forward with both clarity and confidence. Here’s how. Discernment counseling is not considered marriage counseling. It’s different in the respect that it’s not focused on saving the marriage, but rather deciding if saving it is something both parties want to do. Discernment counseling is more of an assessment process to see how you want to move forward as a couple. It’s designed to help you stop being stuck in an unhappy marriage and decide what needs to happen for both partners to be happy. During the sessions, you’ll work with a licensed therapist to uncover the current status of your marriage. This includes answering questions like how your relationship got to this point, what you’ve tried to do to repair the damage, what role your children play in your current predicament, and more. You’ll discuss emotions, problems, reasons both of you want to stay or leave, and how you feel about continuing sessions. The idea of discernment counseling is to help you uncover a concrete way of moving forward. It’s typically an intensive process that lasts as long as five sessions. Discernment counseling is a safe place for couples to rationally admit and explore their feelings about ending the marriage. It helps you better understand your partner, clarify what will happen in the future, and what needs to happen now to move forward. What Couples Can Discernment Counseling Help? Discernment counseling works well for couples that can’t agree whether to separate or to stay together. Without getting stuck in limbo for years, you and your spouse can make the best decision together. This type of counseling is ideal for couples that haven’t engaged in marriage counseling but are hesitant to move forward with a divorce. In discernment counseling, you’ll first uncover whether or not you want to commit to staying together and secondly if marriage counseling would benefit you. Discernment counseling usually ends with either keeping the relationship the way it is, deciding to move forward with the divorce, or a commitment to do marriage counseling for a number of months before evaluating the situation again. Even if one spouse has decided that the marriage is over and they want a divorce, discernment counseling can still help provided you both are willing to attend sessions. While marriage counseling is designed to help you solve your problems, discernment counseling is designed to help couples decide if they want to solve those problems. Discernment counseling isn’t aimed at siding with one partner over the other—the sessions are solely designed to help you come to a decision together. At the same time, understanding the part each person played and how the marriage got to this point could also be instrumental in making that decision. 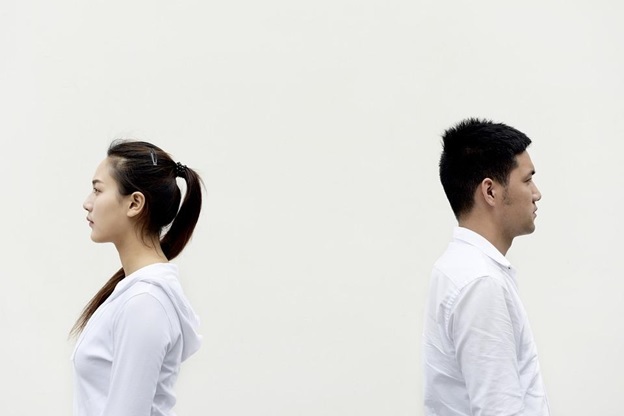 Even if your spouse has made up their mind about the divorce, discernment counseling may help. However, discernment counseling is not for couples that both have already decided that they want a divorce. However, if you want to have some clarity about why the divorce is happening, discernment counseling could be for you. In couples who have already decided to separate, this type of counseling can help couples to not repeat the mistakes made in this relationship, take responsibility for the role they played, and move forward. Cases where discernment counseling would likely not be appropriate include couples where domestic violence is a problem, if one partner has been or is being threatened, or if your spouse isn’t willing to attend sessions. Both spouses need to be open to at least one session of discernment counseling in order for them to benefit. Couples who are also unable or unwilling to arrive at a final decision about saving their marriage may not benefit from discernment counseling. The idea of this type of counseling is to arrive at a decision to stay together or separate. If you or your partner isn’t ready to make either decision, you may want to wait. Staying in limbo when it comes to making a decision to divorce or not can be draining, but for some couples, it makes sense at certain times. When should you move forward? Talking with a licensed therapist can help you decide when and if discernment counseling is right for you. There are numerous benefits to discernment counseling. When you feel stuck about making a decision—or maybe one of you feels a decision has already been made—discernment counseling can help. Discernment counseling can reduce conflict among couples. Instead of fighting or blaming, emotions are discussed with a therapist in a way that helps each person feel heard, validated, and have clarity about what’s happening in the relationship. This is a space where you don’t necessarily have to commit to a decision but can talk openly about problems in your relationship. Without discernment counseling, many couples can’t sift through their problems and end up filing for divorce when the relationship may have been able to be saved. Reducing emotional conflict can help there be more peace and understanding in your marriage, whether or not you decide to move forward with separation and divorce. Discernment counseling offers you benefits regardless of what decision you make. If you decide to commit to marriage counseling, you can focus on what each person needs to do to change. If you decide to move forward with the divorce, discernment counseling gives you more insight into went wrong and helps you learn from your mistakes. Is Discernment Counseling for You? If you and your spouse aren’t sure if you should stay together, consider discernment counseling to help. It might not prevent your divorce, but it could lead to a healthier and less traumatic separation. Through the help of an experienced therapist, you and your spouse can come to the decision that’s best for you. Discernment counseling could provide the clarity you need to move forward with your life. When you’re not able to make the decision on your own, or don’t feel good about your decision to separate, try discernment counseling. It could save your marriage or help your divorce proceed in a more courteous manner. Previous Post: The Easy Way To Say No!